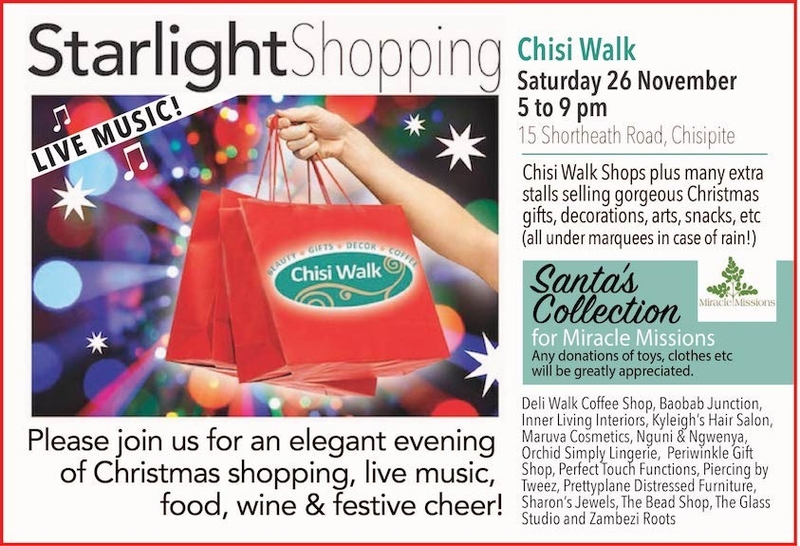 Starlight Shopping at Chisi Walk! Chisi Walk shops plus many extra stalls selling gorgeous Christmas gifts, decorations, arts, snacks etc (all under marquees in case of rain). Santa Collection for Miracle Mission. Any donations of toy, clothes, etc will be greatly appreciated.